Built shortly before the fall of the Ottoman Empire in a strange blend of architectural styles, Pertevniyal Valide Sultan Mosque is a one of a kind piece of architecture and history. 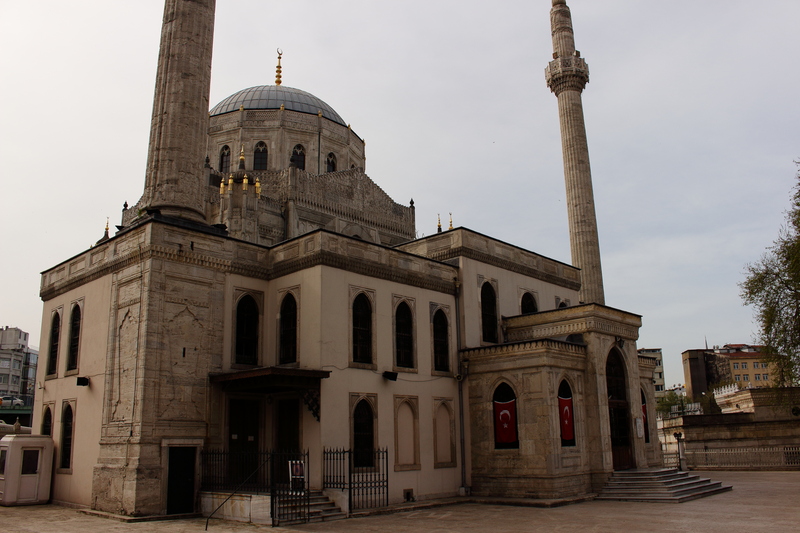 Pertevniyal Mosque was commissioned by the wife of Sultan Mahmut II and mother of Sultan Abdulaziz, named Pertevniyal (born Hasna Khater) in connection with other charitable foundations that she founded in the area. 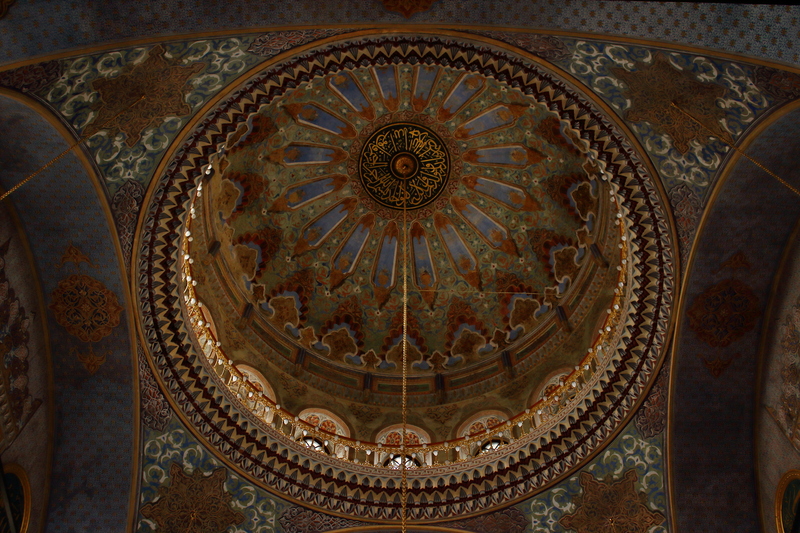 Construction was completed in 1872, making it the last grand work of the Ottoman period. Despite being a relatively new building, there seems to be some disagreement and confusion regarding who the architect actually was. Many sources say that it was Sarkis Balyan (of the Balyan family responsible for most of the Baroque buildings in Istanbul, including Dolmabahçe Palace), while others say that it was the Italian architect Montani Efendi. The main entrance to the mosque showing a floor plan somewhat typical of Ottoman-Baroque mosques. Whoever the architect was, he drew from an incredibly wide variety of inspirations. 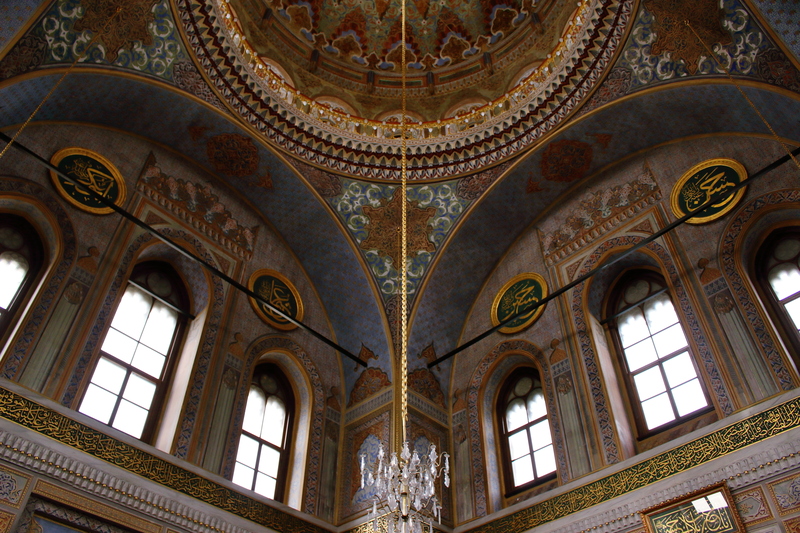 The foot print of the mosque and the interior are somewhat typical of the Ottoman-Baroque style of the period. The exterior, at first glance, looks like it could be a European, Neo-Gothic church, but if you look closer you’ll see that the motifs and fine details are all staples of traditional Islamic architecture and design. The result is truly one of a kind and well worth the visit! Apart from the mosque itself there is also a tomb and a very beautiful gate flanked by a set of fountains. The gate was originally built at street level but over the past 150 years the road has risen to almost hide this beautiful gate. Unfortunately this location isn’t very pretty; the upside is that all the ugly roads and transit makes Pertevniyal Mosque an easy place to get to. It sits on the north-west corner of the intersection of Atatürk boulevard and Ordu street. The Aksaray stop on the T1 tram line is only about 100 metres away and the Yenikapı interchange station for the metro and Marmaray is only about 500 metres away. As Pertevniyal Mosque is right in the heart of historic and touristic Istanbul your accommodation options are almost endless. 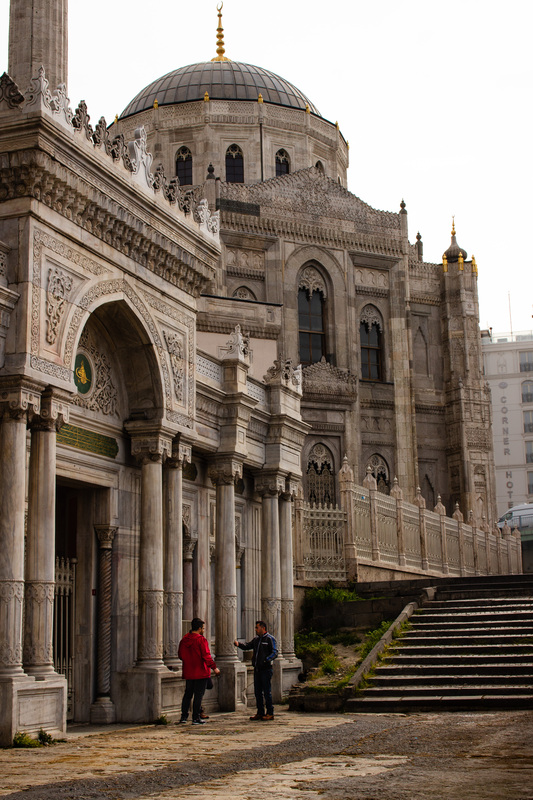 Want to see more sights and destinations in Istanbul? 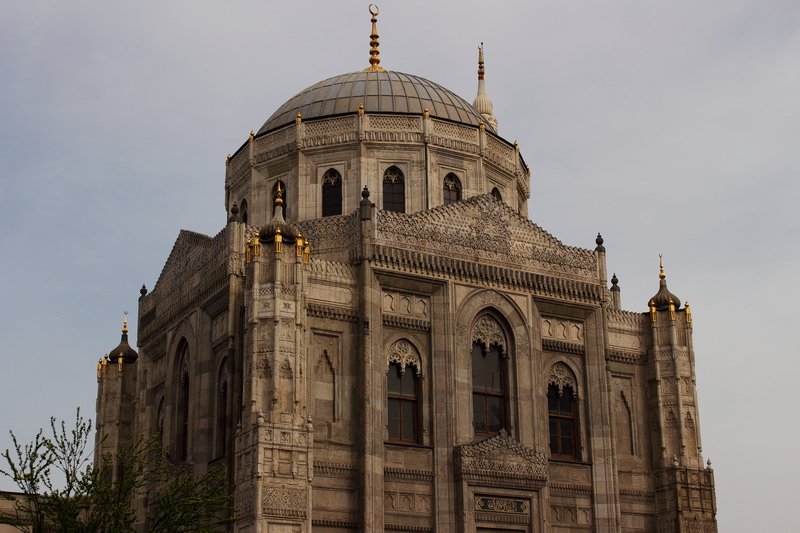 Check out our full list of sights or The Istanbul Top 10.